James Cameron Director of many award winning films, most recently Avatar, is now helping NASA build a high resolution 3D camera for the next Mars rover. Cameron is working closely with Malin Space Science Systems Inc. of San Diego in the development of the camera for the next Mars rover named Curiosity. Which is set to be launched in 2011 and will be equipped the new 3D camera giving the rover the ability to film cinematic sequences of Mars. 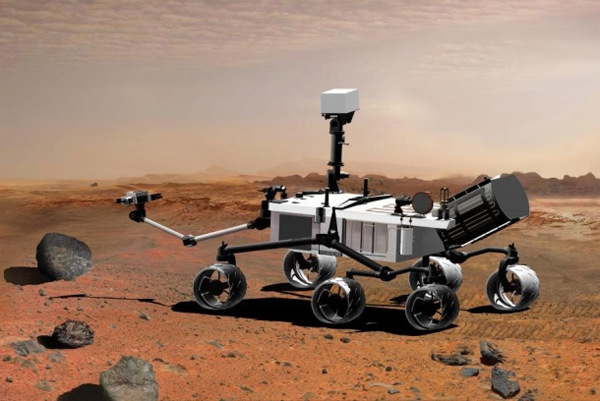 The SUV-sized super rover that will carry 3D cameras, chemistry instruments, environmental sensors and radiation monitors will investigate the Martian surface helping scientists figure out whether life ever existed on Mars and prepare to send humans to the Red Planet.